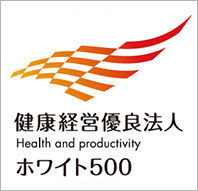 Labor Practices and Human Rights | Yakult Honsha Co., Ltd.
Based on this “Health Declaration,” we will actively engage in the maintenance and promotion of employee health and promote operations that contribute to health. Based on the recognition that employee health is essential to realizing the philosophy of "contributing to people's health," Yakult will strive to maintain and improve the mental and physical health of employees and create a safe and secure workplace environment. In February 2018 we received “White 500” certification, which is awarded to companies that meet the standards set by the Ministry of Economy, Trade and Industry to proactively promote employee health and productivity management. Yakult introduced a Continuous Employment System in April 2006, which is designed to reemploy personnel who have reached retirement age as full-time and contract workers.The system has been revised as needed in alignment with the intent of the Act for Stabilization of Employment of Older Persons etc. * Calculation of continuous employment rate includes those persons who have transferred to another company. A material issue in our human resource strategy concerns the empowerment of female employees, not only in response to the problems of an aging population and a declining birthrate plus a decline in the productive population, but also since the home delivery of our products, our core business, is supported by female employees. We formulated an action plan in line with the Act on Promotion of Women’s Participation and Advancement in the Workplace that was enforced in April 2016. The fundamental philosophy of the plan can be summarized in the following three points. 1. Promote optimal employee placement in light of abilities, aspiration and aptitude, regardless of gender. 2. Enhance the workplace environment so that women aspiring to have a career are able to balance both work and private life with family. 3. Set precise target figures and formulate an action plan. Yakult actively promotes the recruitment of persons with disabilities with the aim of creating environments in which diverse human resources can work with vitality. After entering the Company, those with disabilities receive help from those around them and work in the same manner as persons without disabilities, with this system generating positive results. Yakult is committed to safety management and strives to create comfortable work environments so that employees can work with peace of mind. A particular area of focus has been mental health measures, an area that has become a social issue in recent years. We have been conducting initiatives related to health management from both mental and physical perspectives for employees throughout the company. To promote employees’ use of their annual allotments of paid holidays, Yakult Honsha has created a system that encourages the use of a paid holiday by each employee on his or her birthday and anniversary, as well as for volunteer activities. Going forward, we will push ahead with the creation of work environments in which it is even easier to take annual allotments of paid holidays. 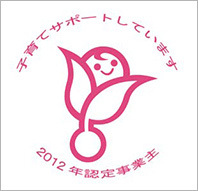 In July 2012, Yakult Honsha was certified by Japan’s Ministry of Health, Labour and Welfare as an “enterprise that supports childcare” and received the Kurumin next generation accreditation mark from the Tokyo Labor Bureau.The Kurumin Mark was created based on the Act for Measures to Support the Development of the Next Generation, which has the objective of helping create environments that facilitate the healthy birth and appropriate rearing of Japan’s next generation. Companies that institute action plans to support the development of the next generation and that implement action plan measures that meet specified standards are deemed qualified to receive the Kurumin Mark. We have established a saved leave system in which employees can make use of the portion of paid leave that exceeds the limit allowed to carry forward for other purposes. 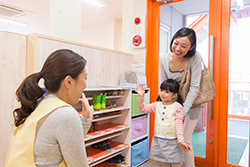 Such saved leave can be used for childcare leave or nursing care leave, which has led to an increase in the number of male employees taking childcare leave. * The percent of female employees who take childcare leave was 100%. 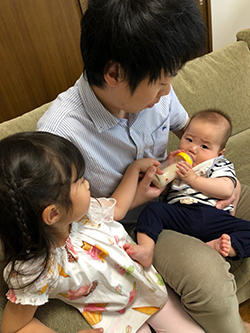 Human Resources Department Yakult Honsha Co., Ltd.
As part of its efforts to provide pleasant workplace environments, we organize round-table meetings for childcare leave takers preparing to return to their workplaces. At the meetings we provide diverse kinds of information and support them so that they can return to their workplaces with peace of mind and subsequently maintain a good balance between work and childcare. The Yakult Group supports women’s advancement in society and supports the creation of a pleasant working environment for Yakult Ladies from diverse perspectives. One of these is the running of daycare centers that have been set up inside marketing companies nationwide, a program that began in the 1970s. You need Adobe Reader to view PDF documents. Copyright © Yakult Honsha Co., Ltd. All Rights Reserved. Produced by Yakult Honsha Co., Ltd.